Today is the first day on the job for John Bolton, President Trump's third national security adviser, and the hawkish former U.S. ambassador to the U.N. will be instantly thrown into one of the administration's most consequential decisions. What's at stake: CFR President Richard Haass tells me that after the chemical attack in Syria and Trump's quick, tough rhetoric on Twitter: "Doing nothing now would be a moral and strategic fiasco." Do something punitive and limited, like the missile strike a year ago, sending a message but not really changing anything. Do something punitive and big (like taking out part or much of Syrian President Bashar al-Assad's air force) that would send a serious message and hurt the regime, but risks a Russian response — and might appear to get the U.S. involved in a difficult and risky, open-ended anti-regime effort. Drop his aim of getting out of Syria, and commit to a modest, open-ended presence focused on preventing ISIS from reestablishing itself, and giving the U.S. a seat at the table. Order attacks on Syria that are more expansive than the “empty airstrip” strikes last April. The smart move, especially since the U.S. will have allies at the U.N. Security Council, will be to make it a coalition. It wouldn’t be hard to get France to lead along with the U.S. 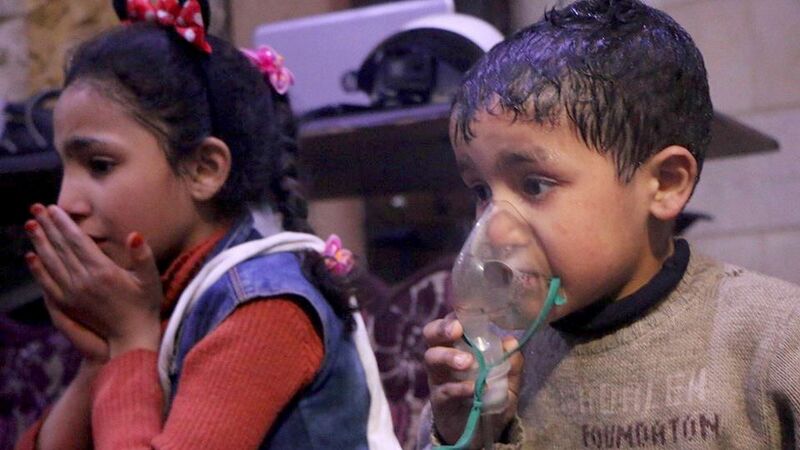 The U.S. could unilaterally attack any Syrian bases that launched chemical attacks. Add the United Kingdom, and that looks like a smart move for Trump. The challenge: All of Trump’s instincts are unilateral. Putin’s not going to sit idly by as the U.S. expands attacks against Assad — though as long as Russians on the ground aren’t directly threatened (the Kremlin’s stated “red line”), he's not likely to take direct action to retaliate. As for Trump going after Putin on Twitter, after the oligarch sanctions last week, Bremmer says: "[W]e can all definitively agree the bromance is over." Be smart, from Axios' Jonathan Swan: Trump has been impatient to get out of Syria for months, and thinks it’s best to let others take care of the mess (reminiscent of his early discussions on Afghanistan). But he reacts to the photos of chemical attacks — and of dead children, in particular — as he did last year when he authorized strikes on Syria over Bannonites’ objections.